The INTAS project has started in March 2016 and finished in February 2019. It was designed to address the need to support European Market Surveillances Authorities (MSAs) deliver compliance with Ecodesign requirements for large industrial products, specifically transformers and fans. By acknowledging the current lack of expertise, experience, and resources available across Europe for this type of testing, INTAS provided technical and cooperative support, as well as capacity building activities, to MSAs in charge of enforcing Ecodesign regulations. It also seeked to support industry to be sure of what their obligations are under the Ecodesign Directive and to deliver compliance in a manner that will be broadly accepted by MSAs. By doing so, INTAS aimed to foster a common European approach to the delivery and verification of compliance for these products. The aim of the INTAS project was to provide technical and cooperative support, as well as capacity building activities, to Market Surveillance Authorities (MSAs). 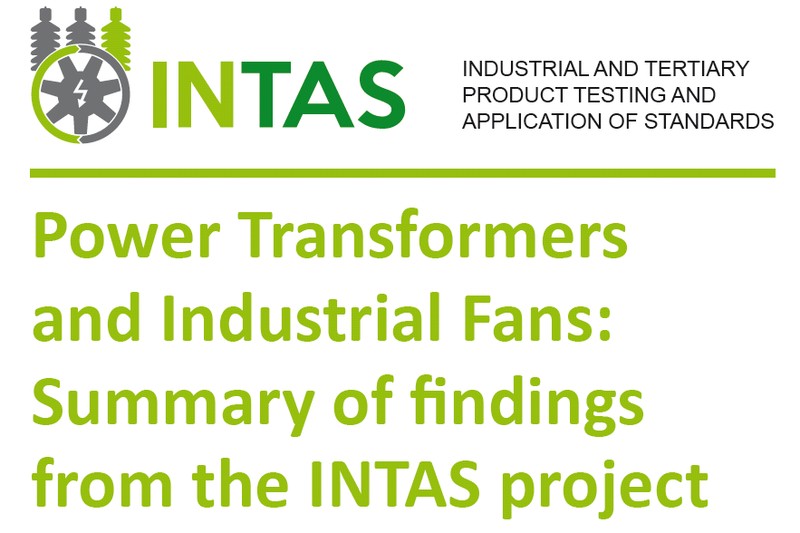 The need for the INTAS project arised from the difficulty that MSAs and market actors face in establishing and verifying compliance with energy performance requirements for large industrial products subject to requirements of the Ecodesign Directive, specifically transformers and industrial fans.